Going by how the new Ford Figo has turned out, especially the one on our test, you'd think the previous generation hatch was a pushover. This one most definitely isn't. It's got cojones, big ones and while it would love to spread its seed all over town, it does so in the most unassuming manner. It's sibling, the Figo Aspire is more gentle in its mannerisms even though both the hatch and sedan share exactly the same DNA. Except the Ford Figo stayed out longer to play with the neighbourhood ruffians and that has given it some swag! Here's why. 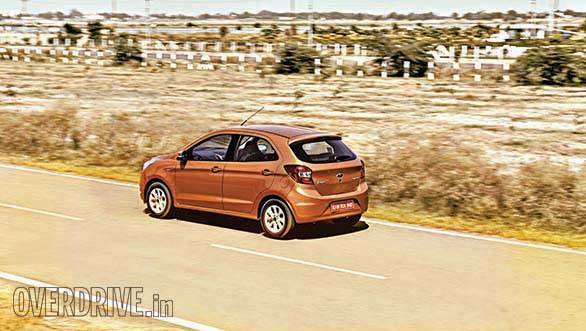 Given a choice between the Figo Aspire and the Figo, most would pick the sedan. It's not hard to see why. The Aspire has a much more polished stance to it, like it was the one that got sent to finishing school. The Figo hatch starts off well but you begin to notice the rough edges as you get closer. The 14'' wheels and tyres look slightly out of place, leaving large wheel wells with space that can easily be filled by larger rubber. The central problem is at the rear, without the boot to balance out the profile, the Figo appears to be hunched forward. 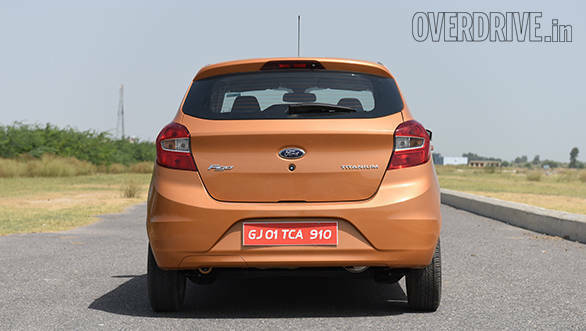 The rear hatch has turned out quite well, however Ford has done better elsewhere and the boldness of that front end isn't visible at the rear. This is a hot hatch and I'd like to have seen more aggression. I'd have liked the tail to have left a lasting impression as someone I overtake watches me disappear. Inside the cabin, Ford should have thrown in some colour. The Figo Apsire gets a beige trim that suits its elegant nature. The Figo should have also had some splashes of colour  dabs of red, ocher or green on that black dashboard to spice up the interiors. If not on the dash, perhaps on the seats or the door panels or somewhere. For a car that packs in a large powerful engine, the interiors are uninspiring. I also found a few other details lacking. Driving the car home from work late at night I found the lack of ambient illumination inside this cabin a bit tardy. Backlit power window buttons and the wing mirror adjustor would make it easier to use after the sun goes down if you can see what your fingers need to reach out for. You may not use these controls too often but when you need to, especially at night, that's when you're gonna be left cursing. The Figo for a sub 4-metre hatch has a spacious and well packaged interior. Lots of useful storage bins, but they should have been deeper and easier to access. Again at night and without enough illumination inside the cabin, I dropped my change from a toll booth into what I thought was a cubby hole only to hear the coins clink into the gap between the seat and the transmission tunnel. Best to use the pocket on the top of the dash. The Figo can seat 5 but is best for 4. I found the drivers seat quite uncomfortable, an odd H-point makes it very difficult to find a good seating position. The rear shoulder width can be cramped for five though an almost flat floor and enough room to stretch you feet will ease out any physical kinks. 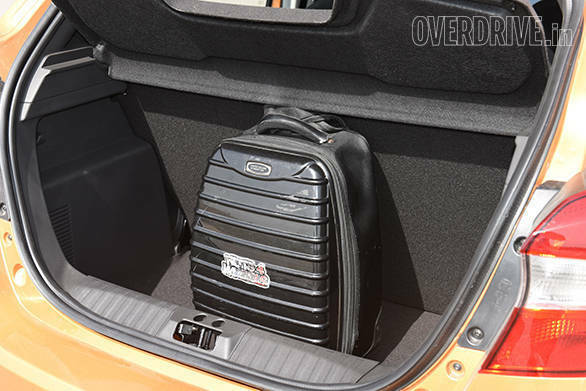 Further behind, the boot space has dropped compared to the previous generation car, from 280 litres, it's now reduced slightly to 257 litres. Nevertheless, it can still swallow enough luggage for a weekend trip with the family. The boot volume was lowered intentionally to increase cabin space and the result is truly astounding. The Figo sits on a heavily modified chassis of the previous generation car. This platform is quite versatile and will support a variety of body styles, the hatchback and sedan are just two of the first. At the front, the Figo utilises an independent MacPherson strut and at the rear there is a semi-independent twist beam. It works brilliantly where cushioning is concerned. Ride quality is impressive and it feels built to last. Even over some tenuous surfaces, the Figo feels very composed. But here's my problem, the suspension firmness that used to be a hallmark of every Ford in India is absent. That firmness was never harsh and disruptive, instead it gave every car a more solid, well-planted character. That has been substituted by a more soft and forgiving nature. Pushing it around corners or viciously yanking the steering wheel through traffic highlights the body roll this car has. It's not disturbing but enough to be noticed and not appreciated. Handling, however, is sublime, if you can manage to get everything right  the right entry, exit lines and a smooth surface. I loved the way the steering in the new Figo collects its weight and focusses it as and when you need it. The precision is inch perfect! Given all the right conditions, the Figo is, in my opinion, one of the best handling hatchbacks in the country, almost up there in the league of the VW Polo. 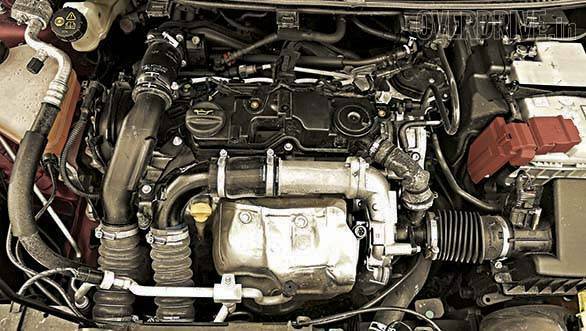 The Figo comes with a choice of three engines  there are two petrols and one diesel. To me, however, there was no getting away from the 1.5-litre 112PS Sigma petrol motor that's also used in the EcoSport. This is a sweet engine in that it revs freely and has a strong low and mid-range, making it ideal for urban driving. Thanks to this engine, Ford now offers one of only three 100 horsepower-plus hatchbacks in the country. That clearly should have made it a sub ten second car and therein lies a problem because its not! 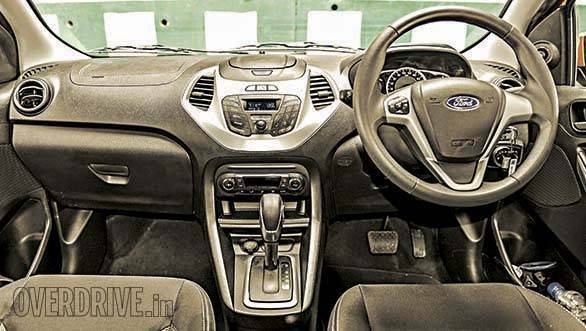 Ford has shaved the edge off this Figo by offering it with an automatic transmission with six-ratios and tyres that are more fuel efficiency biased rather than performance. And that is just one of the cruelest things to do to a car with so much potential. The 6-speed transmission has both a Standard drive mode and a Sport mode with a manual shift selector. In Drive mode the Figo is a reasonably sedate car to drive. Upshifts take too long and when you need the urgency from the engine to manifest itself, it just won't. Sport mode changes the Figo's character but not by much. It does not take the rev counter all the way to the redline but upshifts close to it. It too is slow to put all that power down effectively. A manual transmission would have made this car explosive, shaved at least three seconds off the 12.7 seconds it took on our test to a 100kmph. Another drawback of this transmission is its inability to provide linear power outputs in either Drive or Sport mode. This is because the throttle is very sensitive. In urban conditions, this can result in a bit of a yo-yo effect where you're constantly teetering between a burst of acceleration and getting on the brakes. I also felt that trying to build speed in this car or if you had to truly enjoy its dynamic abilities, makes it a very tedious exercise. You derive the optimum performance in the Figo in Sport mode, however, in this mode only, there is a manual shift selector to give you that slight extra freedom you need. 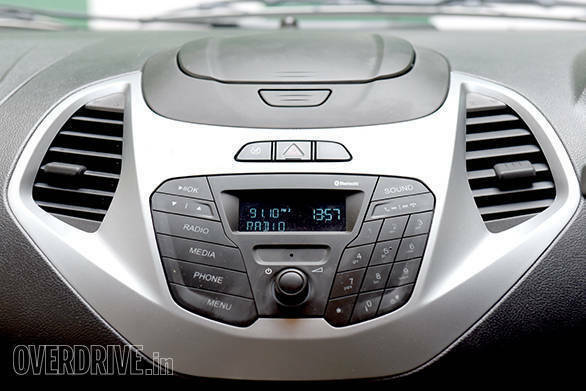 However, the selector is two tiny buttons on the right side of the gear knob actuated by using your left thumb. Now taking your hand off the steering wheel and being able to place just your thumb on those two tiny switches isn't easy to do when you're hunting down the next corner. It piles on a few seconds and that means those buttons are no more efficient than having used the plain Sport mode. Wasted! The 175/65 14'' tyres also are too little rubber for this car. They just don't have the capacity to put all of that power down on the ground immaculately and effectively. These tyres are low rolling resistance types and that only results in one thing, fuel efficiency... fuel efficiency... fuel efficiency! Ford have come very, very close to reviving the Josh-Machine with the new Figo, especially in this 1.5-litre configuration. 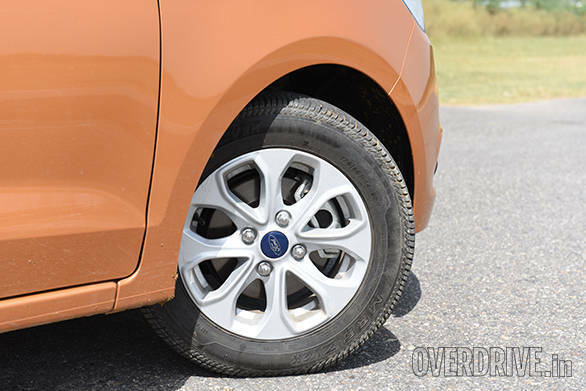 Nigel Harris, who heads Ford India has a fair understanding of quick cars from his previous experience and, since he is a bit of an enthusiast himself, he's managed to put several aggregates together in the new Figo. However, the job isn't complete. There is just that little bit more that I believe could have transformed this car into something India has yet to experience. Speaking to Nigel, I did get the sense that there is something more exciting coming up in the future. The intent perhaps was to provide the choice of an automatic for now since there is an increasing demand for automatics in several segments, hatchbacks being strong players in this case. But then since Ford does have the 1.5-litre manual configuration in the EcoSport already available in the market, I fail to understand why it has been overlooked for the Figo. Perhaps there is more to be read out of this situation. 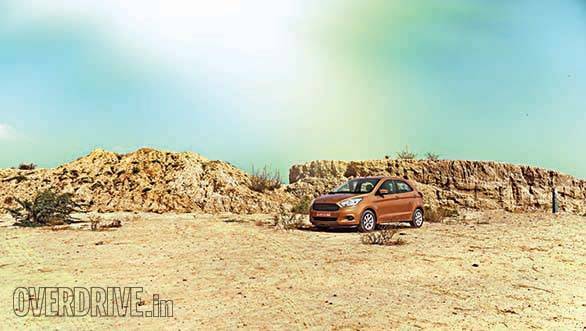 Perhaps there is a sportier Ford Figo biding its time in the wings until it is called on to play its role. Perhaps this may happen soon, we hope! 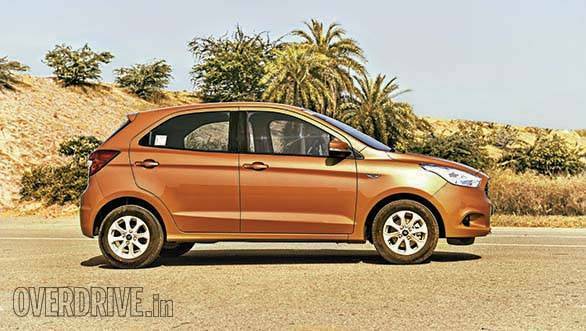 Perhaps the Ford Figo 1.5 Ti-VCT should be seen as a preview of better things to come. I'd settle for the diesel Figo. . . better yet pick the Aspire!